Demeter fragrance and perfume list. Demeter fragrances: Founded in 1993 by Christopher Brosius and Christopher Gable in Pennsylvania, Demeter perfume house's first fragrance launch was Fresh Water. The company is owned by Freedom Marketing Group as of 2002. 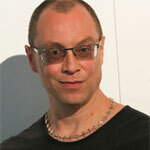 Christopher Brosius left the company and started his line, CB I Hate Perfume, in 2004.